Mobile 9 step stepladder for helicopter blade maintenance access. Red lacquered guardrail with handrail – intermediary rail and baseboard. 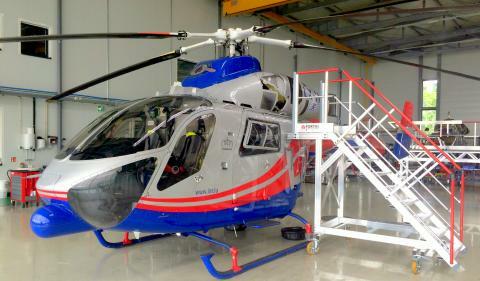 To view the mobile access stepladder for MD 902 Helicopter blades click here.